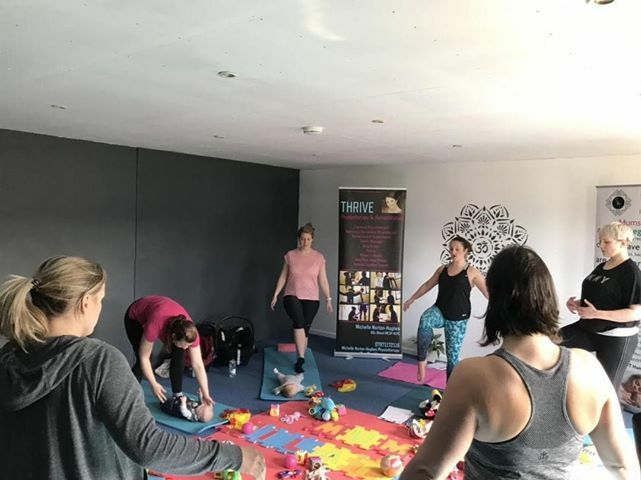 Rebuild and Thrive offer a wide variety of Physiotherapist led Pilates classes each week at Athlete Movement in Liphook. 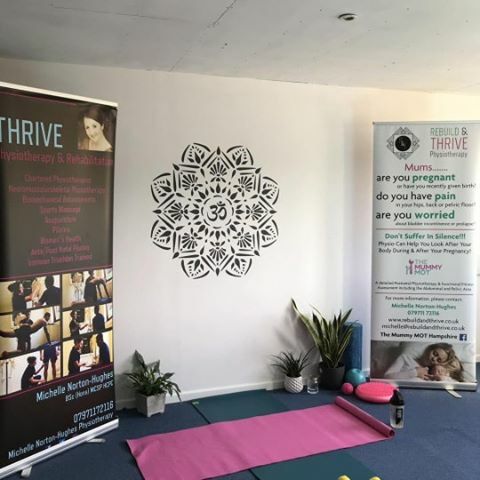 These fantastic Pilates classes are led by a fully qualified, accredited and experienced Physiotherapist, Michelle Norton-Hughes, and are all tailored towards supporting, stretching and encouraging everyone from the Liphook, Bordon and wider Hampshire & Surrey areas looking to progress towards a goal. 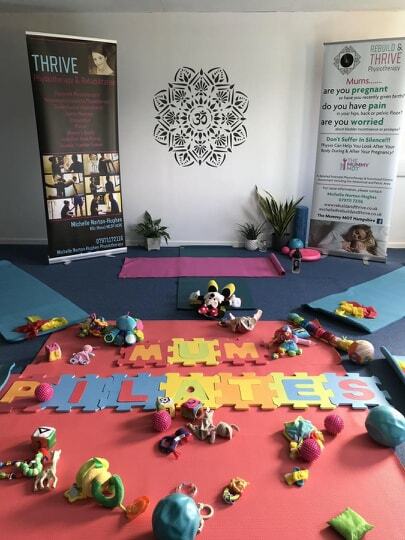 Every Tuesday morning Michelle runs Pilates classes for Mums and their baby. 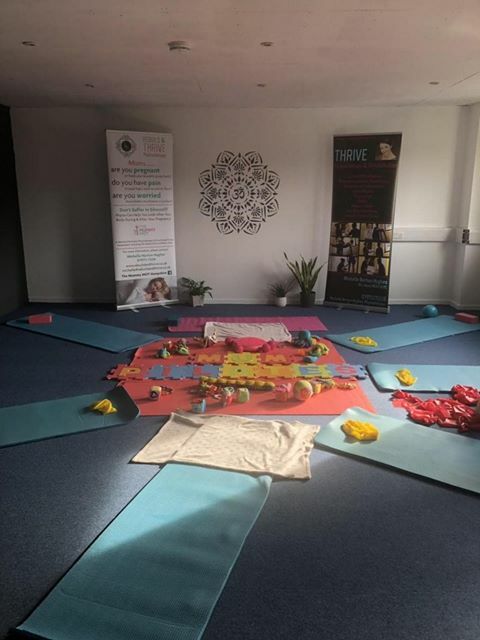 These classes are warm, supportive and the perfect opportunity to work on your post-natal fitness with others Mums under the watchful eye of a trained Physiotherapist. 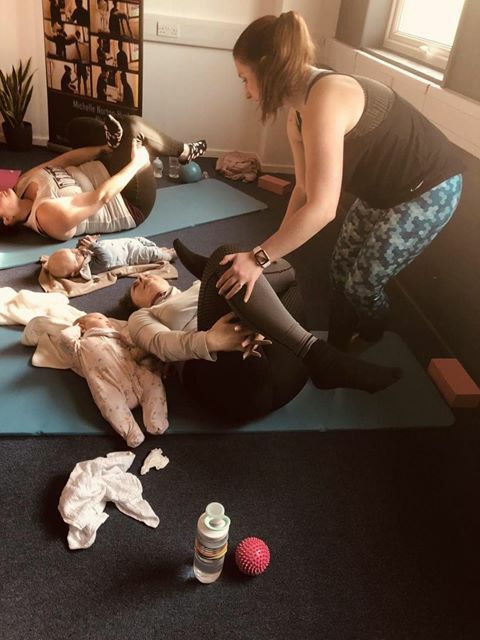 These classes last for 60 minutes, start at 11am and usually finish with a nice chat and a coffee or protein shake in the Coffee & Smoothie lounge. 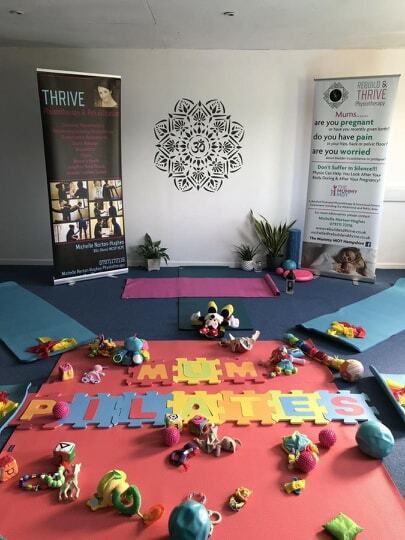 On Thursday evenings Michelle leads two distinct Pilates classes. 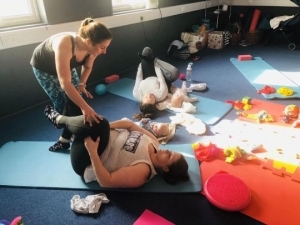 From 7.15pm, there is a weekly, open, ‘All Access’, Pilates session for anyone looking to challenge their body in a different way and work on their fitness, stability and athleticism. 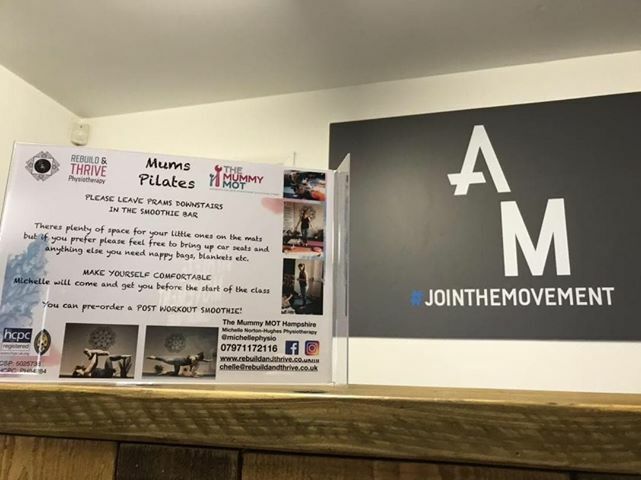 Later on a Thursday evening, from 8.30pm, Michelle takes a Women’s Only Pilates class. 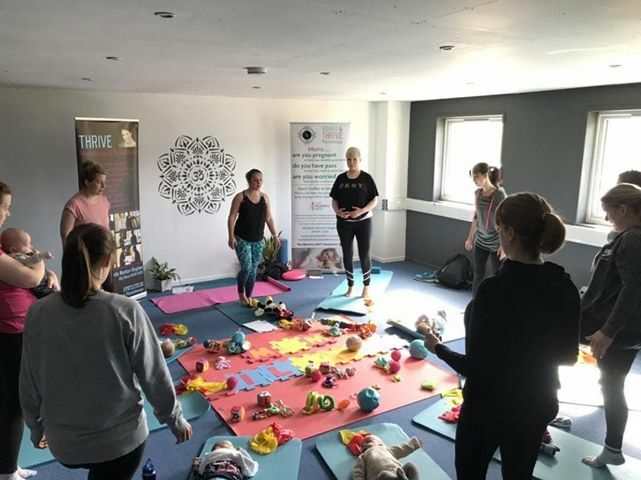 These classes are perfect for ladies looking to exercise in a women’s only environment and are guaranteed to challenge you in exactly the same way as the mixed gender classes. 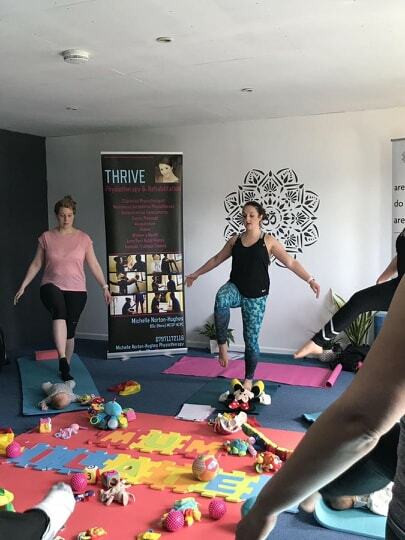 You can see more of these wonderful Pilates classes in our gallery below and use the contact information to get in touch with Michelle, at Rebuild and Thrive, for more information, prices and bookings.